Another shootout! The OMAS Arte Italiana Paragon (black, 18KT fine nib) vs. the OMAS Arte Italiana Milord (arco celluloid, 18KT broad nib). 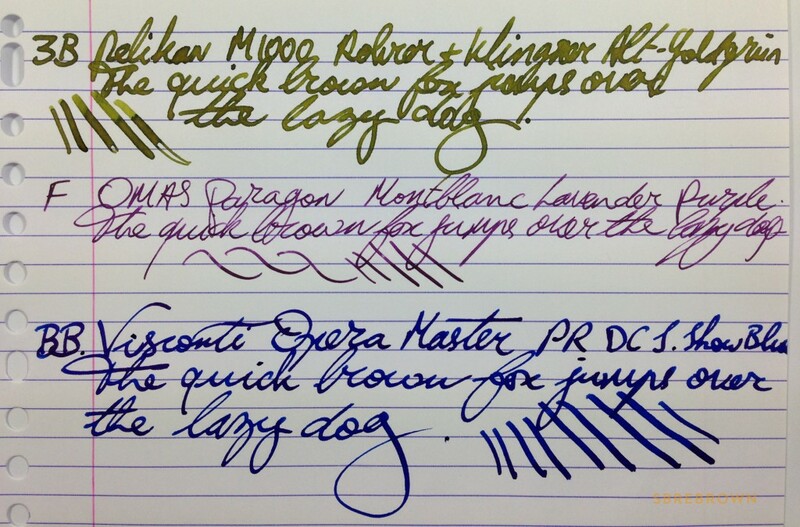 See individual rewiews here: the OMAS Paragon, and the OMAS Milord. 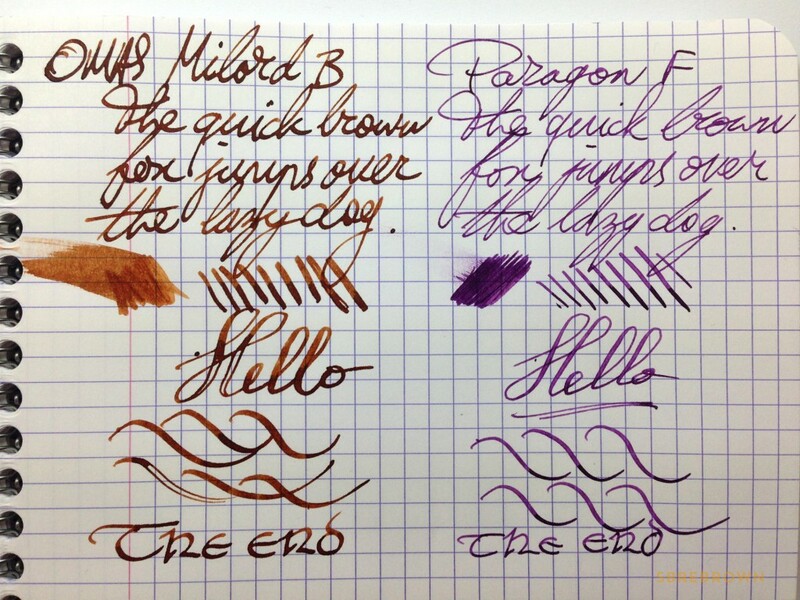 This entry was posted in Fountain Pen Shootout, Fountain Pens, Reviews and tagged OMAS on February 16, 2015 by Azizah Asgarali. 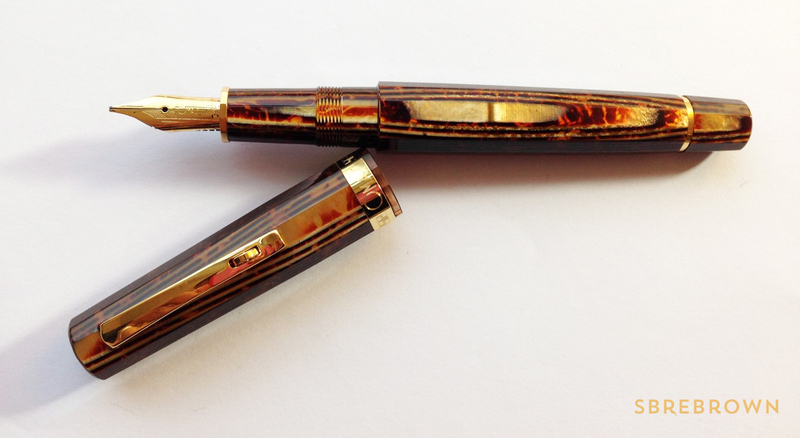 My review of the OMAS Arte Italiana Milord fountain pen in the beautiful bronze arco celluloid finish. 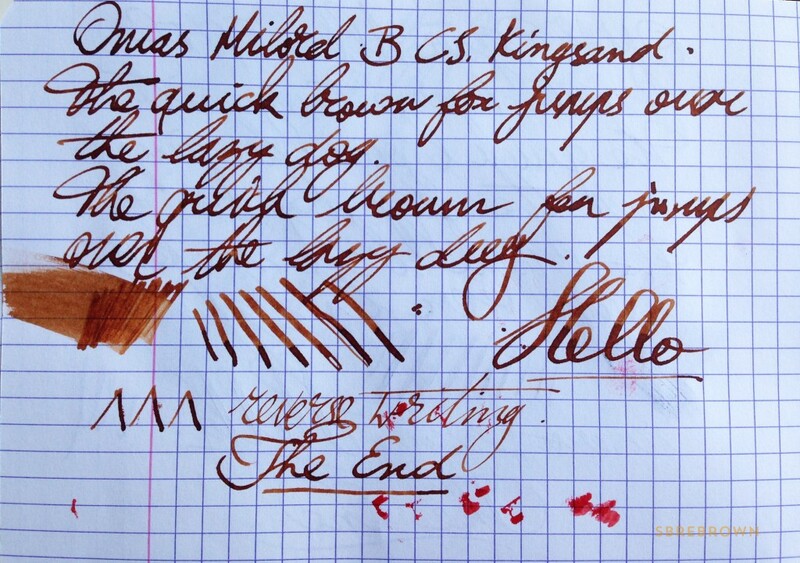 The nib is an 18KT gold broad. 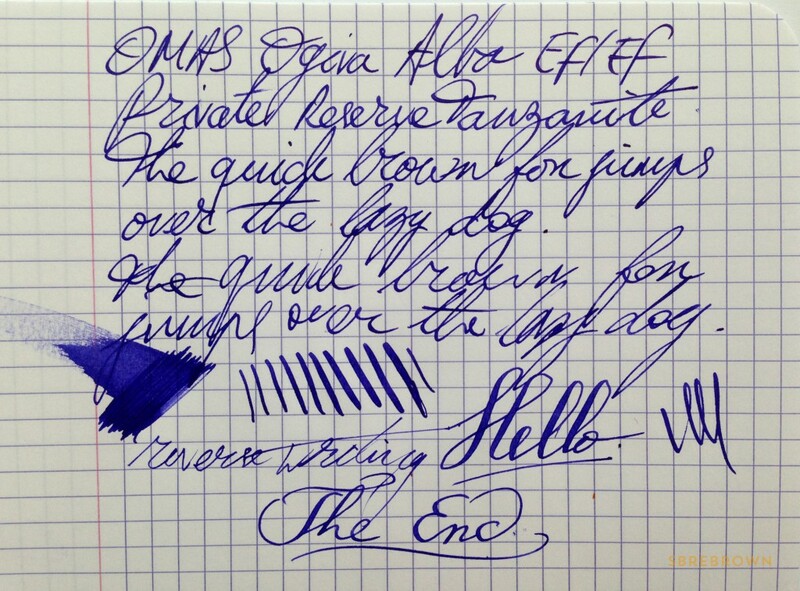 This entry was posted in Fountain Pens, Reviews and tagged OMAS, Pen Chalet on February 11, 2015 by Azizah Asgarali. My updated review of the CONID Bulkfiller Streamline fountain pen, with a medium titanium nib. Check out the original review here and the Disassembly Line! Sorry for the error previously! All fixed now. This entry was posted in Fountain Pens, How Do You Like Me Now and tagged OMAS on February 2, 2015 by Azizah Asgarali. Today, we determine whether the OMAS 360 Vintage is serious nibbage! Check out my review of the OMAS 360, How Do You Like Me Now, and other episodes of Serious Nibbage if you missed any! If you’d like to sponsor an episode of Serious Nibbage and would like us to review a pen/nib/ink, etc, contact me through the contact page, or via email. This entry was posted in Fountain Pens, Humour, Information, Reviews, Serious Nibbage and tagged GourmetPens, OMAS on January 17, 2015 by Azizah Asgarali. It happened again. I went to P.W Akkerman, tried a pen… You know the rest. 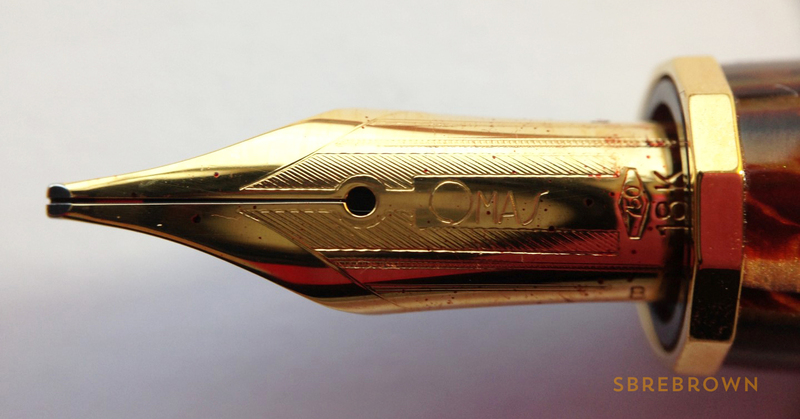 Here is the OMAS Paragon with an 18KT yellow gold FINE nib. 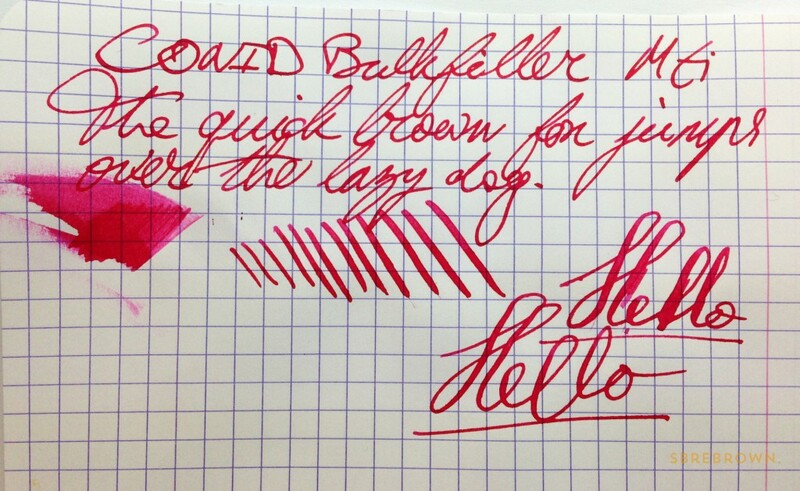 This entry was posted in Fountain Pens, Reviews and tagged OMAS on January 8, 2015 by Azizah Asgarali. Azizah and I discuss the new and hot OMAS Ogiva Alba fountain pen. Thanks to OMAS for providing this pen! Is it Serious Nibbage? My review of the OMAS Ogiva Alba fountain pen. 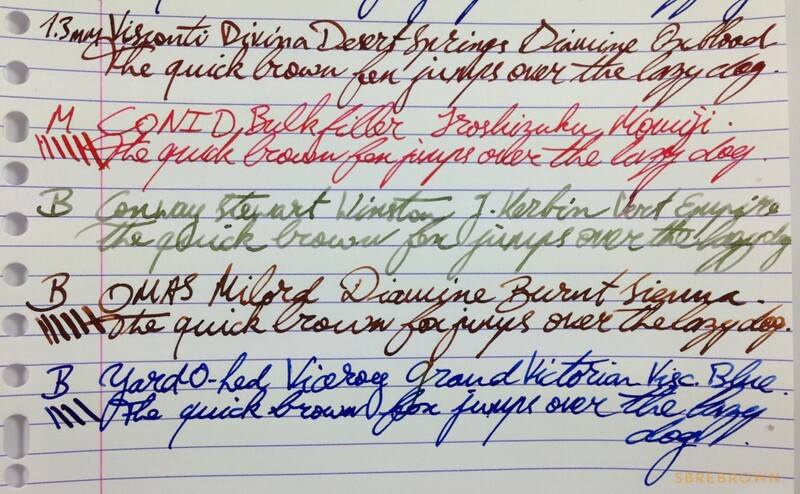 GourmetPens’ review of the OMAS Ogiva Alba fountain pen. 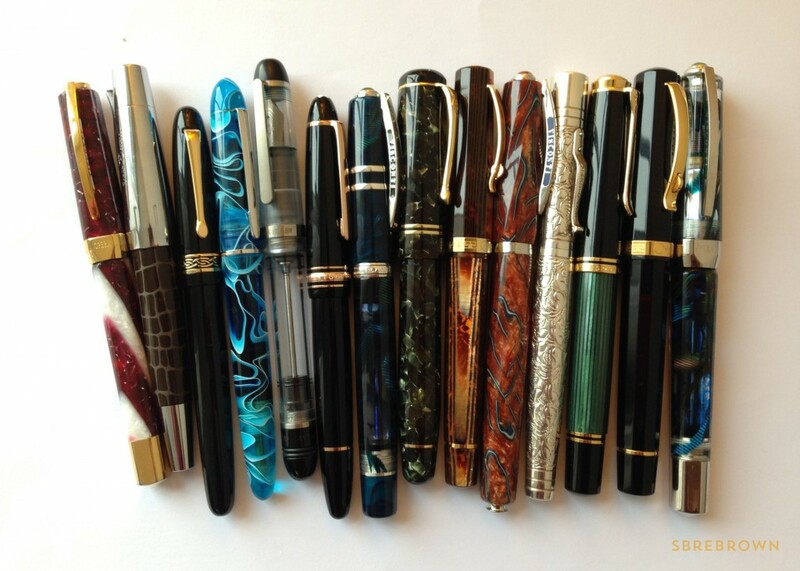 This entry was posted in Fountain Pens, Humour, Reviews, Serious Nibbage and tagged Fountain Pens, GourmetPens, OMAS, Reviews, Serious Nibbage on December 9, 2014 by Azizah Asgarali. My review of the new OMAS Ogiva Alba fountain pen, with a 14KT extra-fine extra flessible nib. Thank you to OMAS for making this review possible! 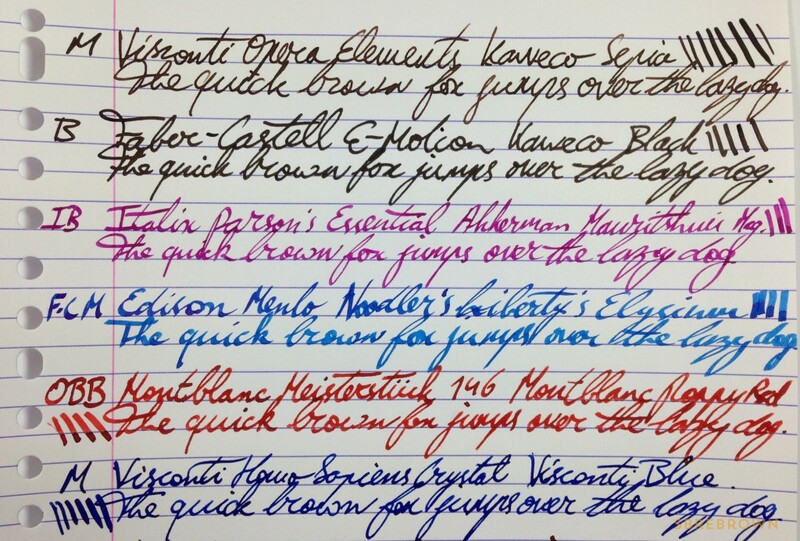 This entry was posted in Fountain Pens, Reviews and tagged Fountain Pens, OMAS, Reviews on December 8, 2014 by Azizah Asgarali. My updated review of the OMAS 360 fountain pen! Check out the original review here. 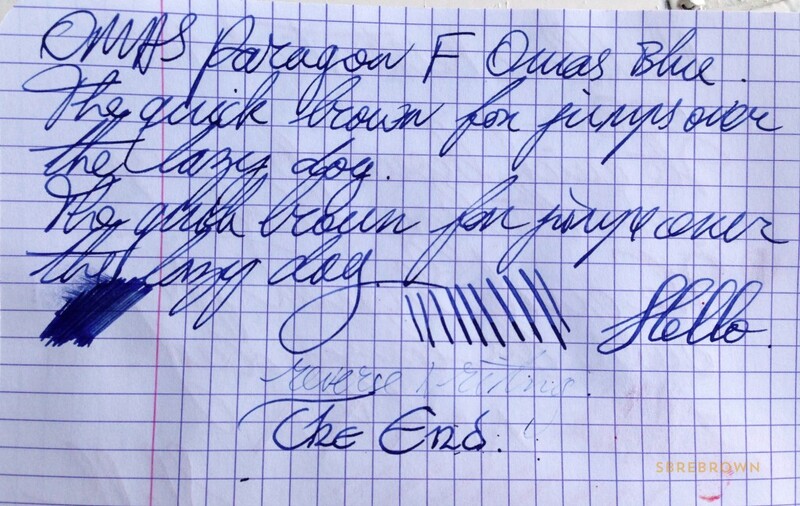 This entry was posted in Fountain Pens, How Do You Like Me Now, Reviews and tagged OMAS on June 18, 2014 by Azizah Asgarali.